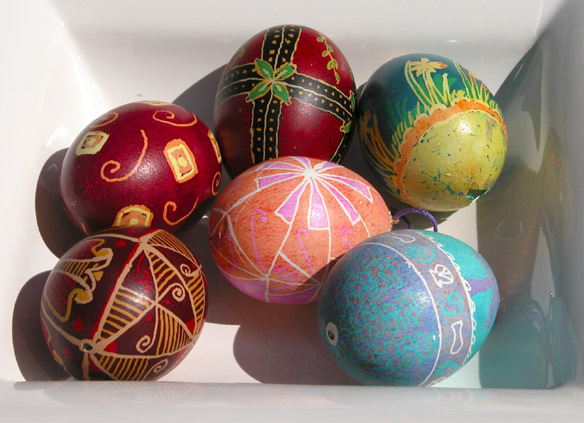 Melissa is more into the colors than patterns, which means she always wants my white eggshells. (Which can be oddly hard to get around here. If you get store eggs, you want organic, since they tend to have harder shells. Local organic eggs are mostly brown. Apparently, if I trek out to the year-round organic markets along 495, I can get them. Goose eggs too!) 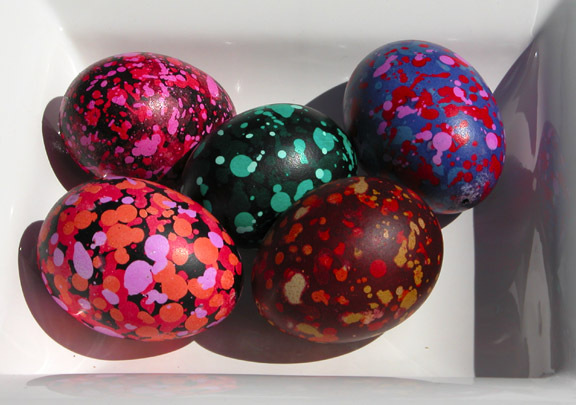 And, I finally asked if I could have copies of her color test eggs as references for my designs. Rita's green daffodils egg is wicked, but cracked during this photo shoot. Drat. My new eggs for 2004.